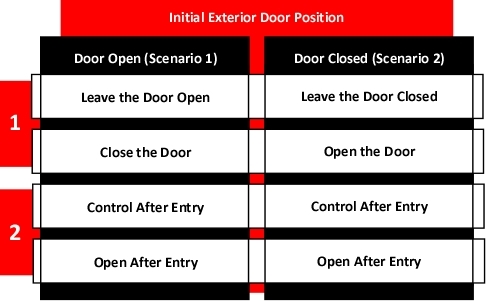 Fire Rescue magazine Editor in Chief Tim Sendelbach recently raised a number of questions related to door control in his recent on-line article, Becoming Better Informed on the Fireground(2014). 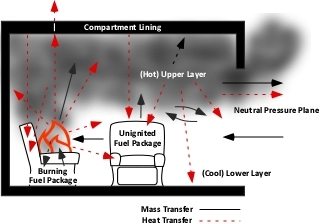 This article, has generated a fair bit of on-line discussion around the following issue: Which is a better tactic to provide a more tenable environment for the occupants; closing the door to limit inward air flow and reducing heat release rate (HRR) or leaving it open to reduce smoke logging of the space and provide an inward flow of air to aid in occupant survivability? Will reducing the oxygen concentration to limit the HRR also have a negative effect on survivability of occupants due to the oxygen deficient atmosphere? Which results in a more toxic atmosphere, closing the door or leaving the door open? Which presents the larger and most significant threat, fire development or the toxicity of the atmosphere? As always there are no simple answers to these questions. The answers depend on a number of variables that are unlikely to be known during fireground operations. However, we cannot be paralyzed by this complexity as strategic and tactical decisions must be made in a timely manner. 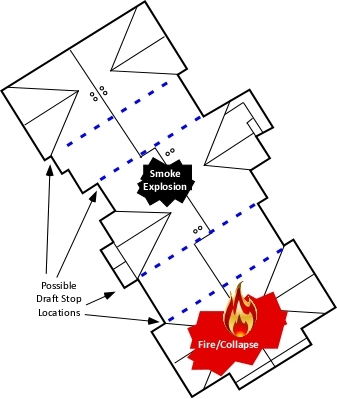 In order to frame the questions, consider a fire scenario which could result in serious injury or fatality to one or more building occupants: A fire in a one story, three bedroom, single family dwelling, occurring in the late evening or early morning hours, resulting from ignition of bedding as the result of contact with a cigarette (USFA, 2013a, 2013b). Bedroom 1 is the room of origin and has an open door to a hallway leading to the remainder of the house. Bedroom 2 is immediately adjacent to Bedroom 1 and has a closed door. Bedroom 3 is slightly further away from Bedroom 1 (than Bedroom 2) and has an open door. The home has functioning smoke alarms and the occupant of Bedroom 3 was alerted to the fire by alarm activation and was able to escape. The occupants of Bedrooms 1 and 2 were not alerted by the smoke alarm and remained in their respective bedrooms. Scenario 1: The occupant of Bedroom 3 exited the home, leaving the front door open. Bedroom windows are closed and remain intact. These conditions remain constant until the arrival of the first fire company. Scenario 2: The occupant of Bedroom 3 exited the home, closing the front door. Bedroom windows are closed and remain intact. These conditions remain constant until the arrival of the first fire company. In both of these scenarios, companies arrive to find one occupant who has exited the building, and two occupants reported with a last known location in Bedrooms 1 and 2. In this scenario, the open bedroom door provides an adequate supply of oxygen to allow the fire to quickly progress from the incipient to the growth stage and transition through flashover. This results in untenable conditions in the fire compartment. A bi-directional air track exists in the flow path between the front door and the fire. Hot gases will exit the fire compartment and flow towards the front door at the upper level. Prior to flashover the fire will become ventilation limited and will continue in this state as the fire becomes fully developed in Bedroom 1 and flames extend into the hallway. Conditions will vary considerably throughout the dwelling depending on location and height above the floor. Close to the fire, the hot upper layer will be well defined, but radiant heat flux at floor level will likely make conditions thermally untenable. Smoke production will be substantial and will likely fill any areas open to the fire (e.g., living spaces open to the hallway and bedroom with an open door). As distance from the fire increases, smoke will cool somewhat and smoke will be present in both the hot upper layer and the cooler layer below. Air moving from the open front door to the fire, will provide some cooling and a higher oxygen concentration along the flow path. However, continued fire development will result in increased smoke production and will likely overwhelm the ventilation provided by the open front door, causing increased velocity of smoke discharge and lowering of the upper layer. Flames will extend down the hallway and towards the front door, increasing radiant heat flux, pyrolizing fuel, and will likely result in a growth stage fire along the flow path. Conditions at the lower levels remote from the fire may remain tenable for some time and even with close proximity to the fire compartment, Bedroom 2 with the closed door is also likely to provide tenable conditions for some time. In Scenario 2, the basic conditions at the start of the fire are the same. However, in this case, the exiting occupant closes the front door. Initially, there will be little difference in fire development as oxygen from throughout interconnected compartments will sustain fire growth. A bi-directional air track exists in the flow path between uninvolved spaces and the fire compartment. Hot gases will exit the fire compartment and flow into the hallway, filling areas open to the fire compartment at the upper level. Prior to flashover the fire will become ventilation limited and become more ventilation limited as the fire becomes fully developed in Bedroom 1 and flames extend into the hallway. As oxygen inside the house is used by the fire and oxygen concentration decreases, HRR and flaming combustion will be reduced. However, combustion will continue in the fire compartment and heat transfer in adjacent areas will result in continued pyrolysis, increasing the concentration of gas phase fuel in the smoke. As in Scenario 1, conditions will vary considerably throughout the dwelling depending on location and height above the floor. However, areas open to the fire compartment are likely to be smoke logged (filled with smoke). Temperatures will be lower and oxygen concentration will likely be higher in areas remote from the fire. As the HRR continues to decrease, temperatures will slowly begin to drop throughout the building. The two scenarios presented are but a small fraction of possible conditions that could exist in this building. 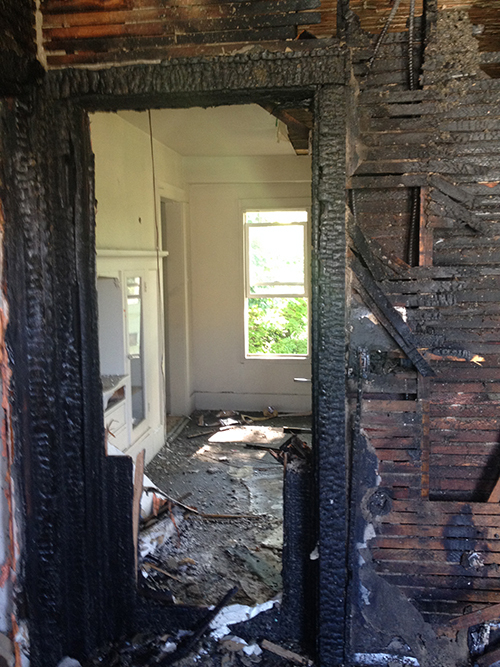 Failure of a window, partial closing of a door (or doors), fuel type, the specific location of the occupants (on the bed versus on the floor) can all impact on potential fire conditions and survivability. All of which are not fully known to responding firefighters (who simply know that they have persons reported, and their observation of B-SAHF (Building, Smoke, Air Track, Heat, and Flame) indicators. This tactical discussion will focus on the issue of door control, and as such the variable of fire control tactics will be held constant by stating that given building configuration and access, the fastest approach to getting water into the fire compartment is by making access through the front door. There are two basic decision points related to door control. Should the position of the door be changed immediately (e.g., during 360o reconnaissance) and should the door be open or controlled (partially closed) from the time the hoseline is stretched to the interior until water is effectively applied to the fire. Each of these decisions must be made in a timely manner and knowing when and if you will control the door should be a key element of your firefighting doctrine. In making this decision, it is essential to recognize that tenable conditions for trapped occupants and control of the fire environment to permit entry for fire control and primary search are both important considerations. 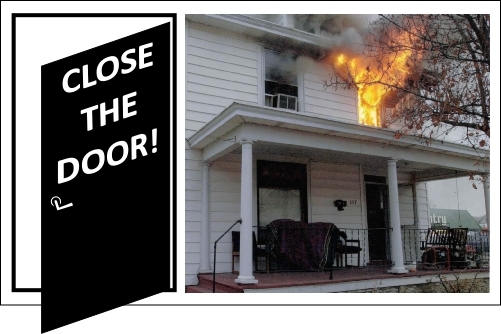 Close the Door: If the door is open, closing it will have several impacts on fire behavior. HRR will diminish and temperature within the building will be reduced. However, the smoke level will likely drop lower to the floor, but this effect will vary with location. Open the Door: If the door is closed, opening it prior to a charged hoseline being in place will introduce fresh air (and oxygen). However, the effects of this action will occur primarily along the flow path between the opening and the fire (having limited effect on occupants in any other location). In addition, the additional air will increase the HRR from the fire. Increased HRR will likely overwhelm the limited ventilation provided by the opening, causing the upper layer to drop, with a small area of clear air at floor level just inside the door. Door Control After Entry: If the door is controlled (partially closed) after entry, the flow of both hot smoke and air in the flow path between the fire and the front door will be reduced, limiting the increase in HRR and slowing fire progression in the upper layer between the fire and the entry point. 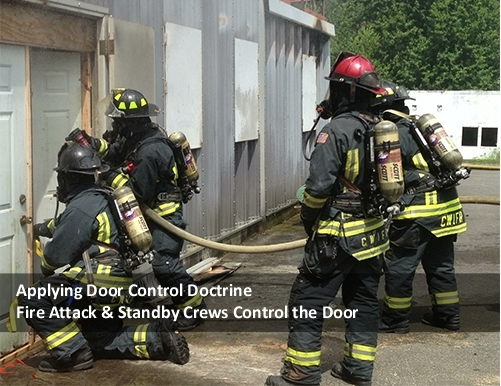 Controlling the door after entry generally requires commitment of at least one member to door control and aiding in movement of hose through the controlled opening. 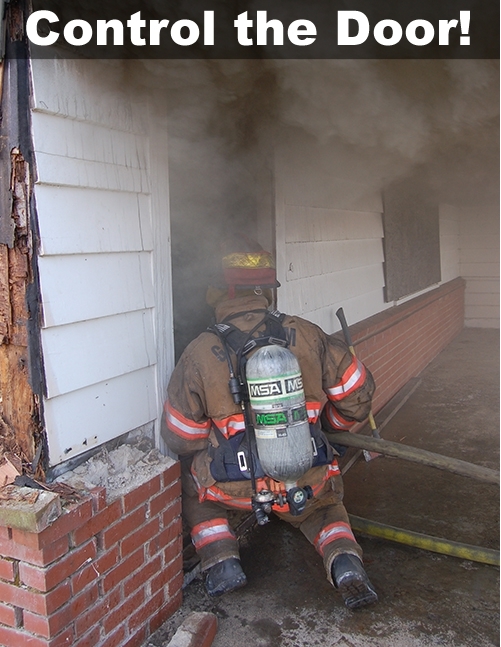 Door Open After Entry: If the door is open after entry, flow of hot smoke and air between the fire and the front door will increase as the fire receives additional oxygen and HRR increases. Extension of flames and ignition of gas phase fuel in the upper layer between the fire and the entry point is likely and should be anticipated. Access and egress through the door and for advancement of hose is unimpeded if the door remains in an open position. 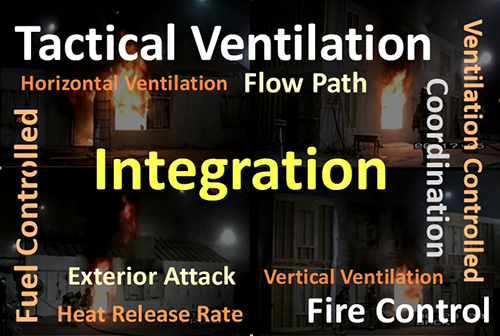 The outcome of each of these choices is impacted by the distance between the entry point/ventilation opening and the fire (this influences both the speed with which the fire reacts to additional air and the time that it will take to advance the hoseline into a position where a direct attack can be made on the fire). Research conducted by the Underwriters Laboratories Firefighter Safety Research Institute (UL FSRI) and others have measured temperature, heat flux oxygen concentration, carbon monoxide, and carbon dioxide in the fire environment during full scale experiments (Kerber, 2011, 2013). Other tests have examined the range of toxic products in the fire environment and determined that carbon monoxide is not an effective proxy measure for overall risk of exposure to toxic products (Fabian, Baxter, & Dalton, 2010; Regional Hazardous Materials Team HM 09-Tualatin Valley Fire & Rescue Office of State Fire Marshal, 2011; Bolstad-Johnson, D., Burgess, J., Crutchfield, C., Storment, S., Gerkin, R., &Wilson, J., 2000). Toxic effects resulting from exposure to products of combustion and pyrolysis are dependent on the dose (concentration x time) and the time over which that dose is received. However, potential survival is also impacted by potential thermal insult which depends on temperature, heat flux, and time. The potential variations in specific combustion and pyrolysis products present and thermal conditions in the fire environment is not limitless, but is nearly so. So what actions can be taken to reduce the risk to occupants who have been unable to egress the building prior to the arrival of fire companies? Home safety surveys to identify fire hazards and reduce the risk of fire occurrence as well as ensuring that homes have working smoke detectors and a home fire escape plan. Public education and fire code requirements to encourage or require residential sprinklers to increase the potential time for occupants to escape. Public education on the value of sleeping with your door closed and closing doors when escaping from a fire. Dispatch protocols to prompt occupants to close doors as they exit or to take refuge behind a closed door if they cannot escape. 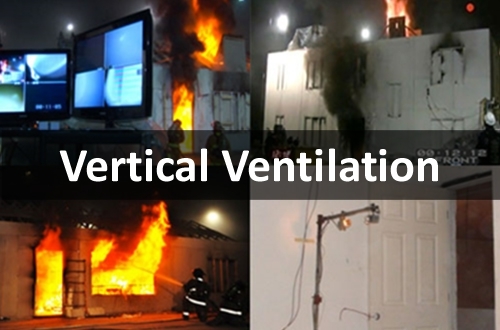 Train other emergency response personnel such as law enforcement and emergency medical services regarding the importance of not increasing ventilation to vent limited fires. However, once a fire occurs and the fire department responds, our actions can have a significant impact on the outcome. Research (Kerber, 2011, 2013) has provided solid evidence that when water cannot be immediately applied to the fire, closing the door will generally improve conditions on the interior. That said, there may be times when door control may not be necessary or may be contraindicated. If water can immediately be applied to the fire from the point of entry or within close proximity to the point of entry (e.g., the fire is not shielded), door control may not be needed prior to direct attack (but likely will not make things worse if it is performed). 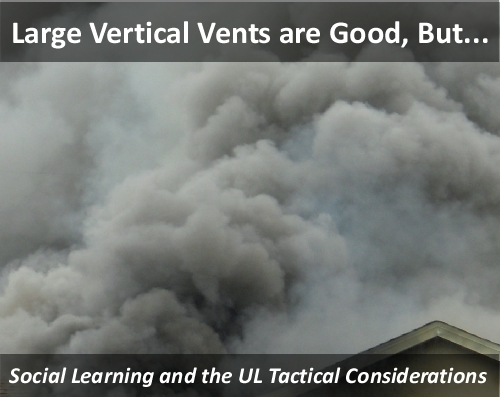 Control of doors in the flow path to confine hot smoke and fire gases may make operations safer and improve tenability for both trapped occupants and firefighters (think about the Isolate in Vent, Enter, Isolate, and Search (VEIS)). Doctrine should be based on evidence provided by research and fireground experience. Both are necessary, but neither is sufficient. The purpose of research is not to choose sides; it’s simply to provide data to help validate the debatable points of a chosen tactic and provide a greater degree of certainty for a recommended tactic. Keep in mind, with facts in hand, the fireground remains a dynamic situation and no tactic can or should ever be considered absolute. The goal is to provide as much factual information as possible so we can make informed decisions before, during and after the fire (Sendelbach, 2014). Understanding the evidence provided by fire dynamics research cannot be developed by simply reading the Tactical Considerations or Executive Summary of a research report. Dig a bit deeper and examine the research questions and how the research was conducted. Consider the evidence, as research continues additional questions will be answered and our understanding of the fire environment and impact of tactical operations will continue to improve and likely have further impact on what we do on the fireground. Sendelbach, T.(2014). Becoming better informed on the fireground. Retrieved July 5, 2015 from http://www.firefighternation.com/article/command-and-leadership/becoming-better-informed-fireground. There has been an increasing awareness that smoke is fuel and that hot smoke overhead results in thermal insult (due to radiant heat transfer) and potential for ignition. However, the hazard presented by smoke as gas phase fuel can extend a considerable distance from the current area of fire involvement. Print a copy of the B-SAHF Worksheet. 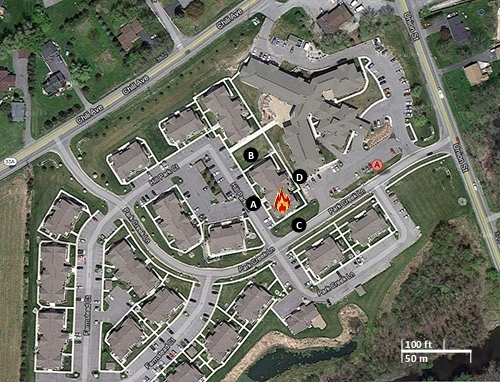 Use the worksheet to document observed fire behavior indicators as you watch the first six minutes of the following video of an apartment fire that occurred on May 10, 2013 at the corner of Park Creek Lane and Hill Park Court in Churchville, NY. In particular, focus on fire behavior indicators that may point to changes in conditions. Don’t focus too much on the flame indicators presenting from the area involved, but pay particular attention to Building, Smoke, and Air Track indicators. The following satellite photo and view of the Alpha/Delta Corner prior to the fire are provided to help orient you to the incident location. 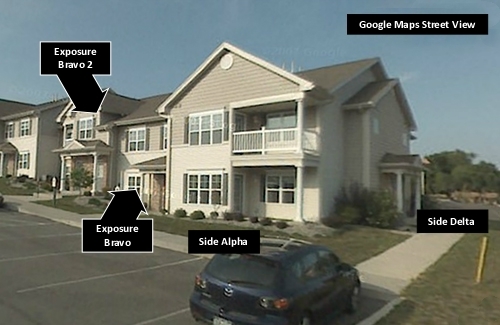 You can also go to Google Maps Street View and do a walk around on Sides Alpha (Hill Park Court) and Delta (Park Creek Lane) to view all four sides of the building. The following time sequence from the video of this incident illustrates the conditions immediately prior to and during the explosion. The extremely rapid increase in heat release rate during the explosion was not sustained (a transient event) as evidenced by conditions illustrated at 06:25. This building is of Type V construction with a wood truss roof system. 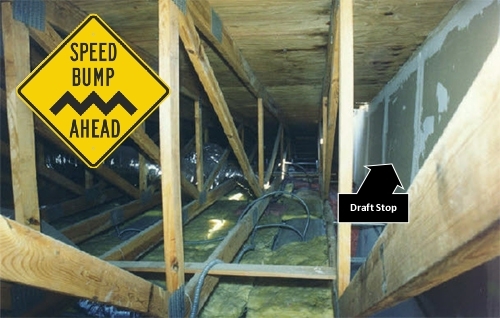 In a large apartment building such as this, the trussloft is typically subdivided with draft stops comprised of gypsum board applied to one (or both) sides of a truss to stop rapid spread of fire within the trussloft. Draft stops should be thought of as speed bumps rather than a barrier (such as a firewall that extends through the roofline). While draft stops slow fire and smoke spread, they do not stop it completely and it is common for smoke to spread beyond the fire area despite the presence of draft stops. The small dimension framing materials used in truss construction have a high surface to mass ratio, increasing the speed with which they can be heated and increasing pyrolysis products in the smoke when heated under ventilation limited conditions. Note: The possible location of the draft stops is speculative as specific information regarding the construction of this building was not available at the time of this post. However, draft stops may be provided between the trussloft between units or based on the size of the trussloft without regard to the location of walls between units. Preplan inspections provide an opportunity to examine building factors that may be critical during an incident! An important air track indicator in this incident was the strong wind blowing from the Alpha/Bravo Corner towards the Charlie/Delta Corner. The wind may have had some influence on ventilation in the trussloft above Exposures Bravo and Bravo 2, and definitively influenced other Smoke and Air Track indicators. From the start of the video light colored smoke is visible at the peak of the roof above Exposure Bravo and Bravo 2, indicating that smoke had infiltrated areas of the trussloft that had not yet become involved in fire. Smoke that is light in color may be comprised of pyrolysis products and air and may be to lean or too rich to burn or it may be explosive See the video Smoke on the Firegear website for a good discussion of the characteristics of smoke (note that this video is currently undergoing validation). The volume and color (smoke indicators), velocity and direction (air track indicators) above exposure Bravo 2 vary considerably from the start of the video until shortly before the explosion that occurred at 06:12 in the video. At 02:52 a firefighter entered Exposure Bravo 2 and a short time later at 03:47 a hoseline (dry) was stretched into this exposure and charged. It is unknown from watching the video if the firefighters on this line advanced to Floor 2 or if they took any action to change the ventilation profile (other than opening the door on Floor 1, Side Alpha). The exited after the explosion, but without haste, so it is likely that they were not on Floor 2 at the time of the explosion. A smoke or fire gas explosion occurs when unburned pyrolysis products and flammable products of combustion accumulate and mix with air, forming a flammable mixture and introduction of a source of ignition results in a violent explosion of the pre-mixed fuel gases and air. This phenomenon generally occurs remote from the fire (as in an attached exposure) or after fire control. In some cases, the fire serves as a source of ignition as it extends into the void or compartment containing the flammable mixture of smoke (fuel) and air. As it is difficult to predict a smoke explosion, there are challenges to preventing their occurrence as well. However, general strategies would include 1) preventing smoke from accumulating in uninvolved spaces or 2) removing smoke that has accumulated remote from the fire (e.g., in attached exposures), or 3) a combination of the first two approaches. Pressurizing uninvolved spaces with a blower to prevent infiltration of smoke. This involves use of a blower for anti-ventilation by applying pressure without creating an exhaust, similar to what is done to pressurize a highrise stairwell. It is essential to check for extension prior to implementing this tactic!. Horizontal ventilation of attached exposures to remove smoke, checking for extension, and then pressurization with a blower to prevent continued infiltration of smoke. If fire extension is found, pressurization without an exhaust opening must not be implemented! The following previous posts on the CFBT-US Blog may also be of interest in exploring the smoke explosion phenomena. Bengtsson, L. (2001). Enclosure Fires. Retrieved May 12, 2013 from https://www.msb.se/RibData/Filer/pdf/20782.pdf . 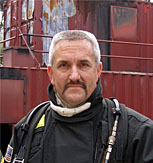 This post will finish up with Captain Mike Sullivan’s Fire Attack Questions. In the coming weeks I will explore the research conducted by UL, NIST, and FDNY on Governors Island last summer (see the video of a presentation on this research at FDIC later in this post). If you have questions or topics that you would like to see addressed in the CFBT-US Blog, please comment on the post or send me an e-mail. In your Blog about gas cooling you mention combustion products and pyrolysis products. Combustion products being light heat and smoke but can you elaborate on pyrolysis products, are they just the gasses that are off gassing from the fuel? Smoke is a complex aerosol comprised of gases, vapors, and particulates resulting from pyrolysis and incomplete combustion along with entrained air. So, smoke is comprised of both chemical products of pyrolysis (thermal decomposition of fuel) and combustion products. The chemical composition of smoke is extremely complex and depends on both the type(s) of fuel and conditions under which it is burning, predominantly limitations on ventilation and oxygen concentration. Smoke is toxic, with incomplete combustion of organic fuels producing substantial amounts of carbon monoxide and nitrogen containing materials producing hydrogen cyanide. As smoke is a product of pyrolysis and incomplete combustion, it also contains a substantial percentage of unburned fuel, as such, smoke is fuel. I have read that if smoke is venting from a building then there will be air entering from somewhere. During basement fires where the fire is below the neutral pressure plane you will often see smoke exiting from the front door from top to bottom of the doorway with no apparent entry of air (no neutral pressure plane) and no other vent opening. Could you comment on this? The mass of smoke exiting from the building must equal the mass of the oxidized fuel and the mass of air entering the building as mass can neither be created or destroyed (law of conservation of mass) as illustrated below. If you see smoke exiting from an opening with a unidirectional air track (out), air is entering somewhere else. Likely, air is entering from multiple locations without presenting an obvious indicator as to the flow paths involved. Controlling the flow path in this case, involves closing the door. This acts in the same manner as closing the damper in a wood stove. Restricting the exhaust will slow intake of air and reduce the heat release rate until water can be applied (preferably making access through an exterior doorway at the basement level or applying water through a window to further reduce heat release prior to an interior attack. Recent research by Underwriters Laboratories (UL), National Institute of Standards and Technology (NIST), and the Fire Department of the City of New York on Governors Island showed that closing an open front door reduced the heat release rate from a basement fire. Battalion Chief George Healey, Dan Madryzkowski, Steve Kerber, and Lieutenant John Ceriello provided an excellent presentation on this research at the 2013 Fire Department Instructors Conference. I strongly recommend viewing the presentation (embedded below)! The following video recording provides an excellent overview of research conducted by UL, NIST, and FDNY on Governors Island to develop an understanding of fire dynamics in the modern fire environment and the influence of firefighting tactics on firefighter safety and effective fire control and ventilation operations. The suppression elements of the Governors Island tests were conducted using solid stream nozzles as that is the predominant type of nozzle used by FDNY. Tests showed that positive impact can be had using this type of nozzle. An important finding, but it was not intended to address the question of where are solid streams more effective than fog patterns (and where fog patterns are more effective). Tests were conducted on the Vent, Enter, Isolate, and Search (VEIS) tactic. Evidence points to the importance of controlling the flow path by closing the door. This does not mean that this is or is not an appropriate tactic under all circumstances or in all contexts, it simply addresses the importance of controlling the flow path. The fire service owes a tremendous debt to UL, NIST, and FDNY (and in particular George, Dan, Steve, and John) for their commitment to improving firefighter safety and the effectiveness of firefighting operations. In order to maximize the value of this critically important research, it is essential that we explore the findings and underlying data and make sense of how this information can improve firefighting operations in our communities. More on this in subsequent posts!